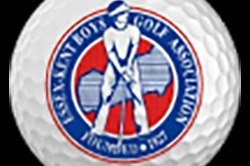 The Essex Kent Junior Golf Tournament is one of the longest running junior tournaments in North America. It is totally FREE to junior golfers ages 9-16. We rely on volunteers and donations to ensure it remains FREE for the kids to enjoy a place to play on a year round basis. Please help us in reaching our goal and continue to put golf clubs in the hands of our youth for generations to come!